We’re expecting Baby #2 sometime around November 6th! After much thought, we’ve decided that if we are able, we’ll stay in Malawi for the birth. Abigail was born in Glendale, California, and we had thought about going to South Africa for this kiddo, but SA is a long way away. 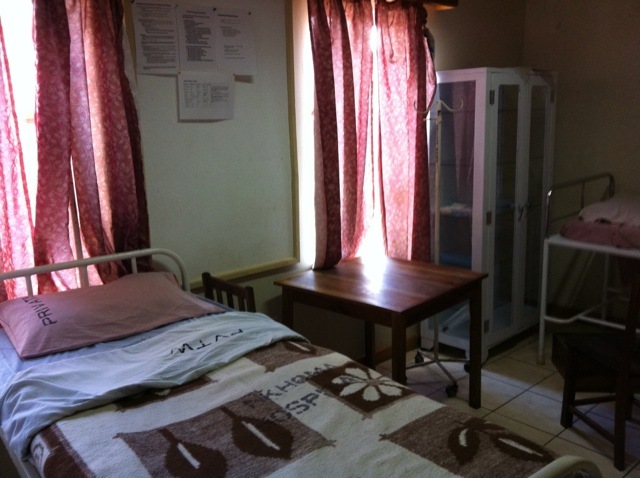 We have a great support base of friends to help us here in Malawi, and a good Dutch doctor – who’s not afraid to send us to SA if he needs to. With that in mind, we headed to the mission hospital at Nkhoma for our first official pre-natal check-up. 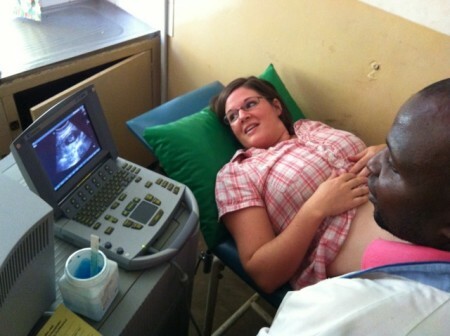 Pre-natal check-ups here in Malawi are SO easy: heart beat, blood pressure, weight, how do you feel?, ultrasound. Done. And all for $1.75. I don’t think we’ll be filing an insurance claim on that one. Ultrasounds are fun! Our little one was so wiggly that it took a long time to freeze the picture to get a good measurement. He’s right on schedule for a November 6th due date. And yes, he’s already referred to as a boy – both motherly intuition and all the old wives’ tales hint strongly that this is a boy. 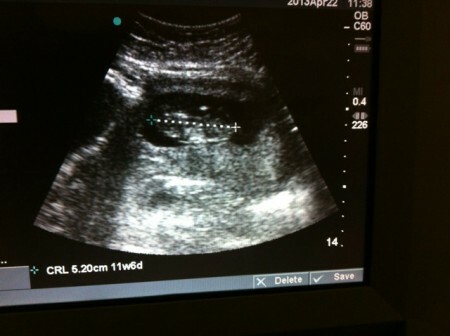 It’ll be about another 10 weeks before we can find out “for sure” – the ultrasound machines aren’t as technologically advanced here as they are in some other parts of the world! This entry was posted in Family, Life in Africa. I’ve been wondering a long time and praying for you guys about your next one! Congrats! Our #3 is due about Christmas! Yay for babies!